1. Mother of four killed on night out with girls. 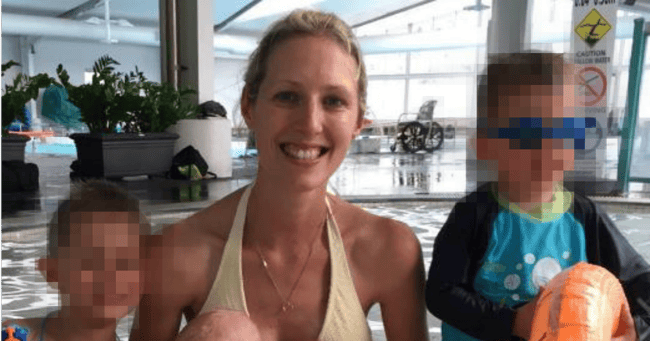 A mother of four from the Central Coast town of Terrigal in NSW has been killed after being hit by a car on a night out with friends, while her pregnant friend has been left injured. Annabelle Deall, 32, was killed after being struck by a car in Terrigal on Saturday night. She was crossing a road as a sports car came around a bend and struck the group of women. Ms Daell’s friend, Megan Darling, who is 20 weeks pregnant was also hit. The 22-year-old driver stopped further up the road and returned to help. Locals rushed to aid the women with wait staff from the nearby restaurant running straight to the scene. “Obviously they witnessed the terrible scene,” owner of the Cowrie restaurant Brett Dengate told Seven News. The driver will face court later this month, charged with dangerous driving causing death. 2. Oscar Pistorius’s brother defends him on Twitter after Pistorius hospitalised for wrist injuries. Oscar Pistorius’s brother has defended him after reports emerged that Pistorius had been taken to hospital after he suffered injuries to his wrists. His brother Carl tweeted that reports of a suicide attempt are incorrect, saying he “slipped in his cell and injured himself”. Manelisi Wolela, an official at the department said that Pistorius had been returned to his cell, and an investigation is underway. “Oscar Pistorius denied speculations of a suicide attempt,” Wolela said. “As a policy principle, we cannot further discuss a particular offender’s personal condition in the public domain,” he said. The reports of the Olympian’s injuries came as the Rio Olympics events began. 3. More gold won by Aussie woman overnight. Australian shooter Catherine Skinner has won Olympic gold in the women’s trap event in Rio. The Victorian hit 12 of 15 targets in the gold medal contest, beating out Kiwi rival Natalie Rooney got the silver. Overnight Emily Seebohm and Maddie Wilson have performed well in their heats meaning they are through to this morning’s finals in the pool at the Rio Olympics. Australia now has three gold medals after yesterday the women’s 4 x 400m took home our second gold medal. Emma McKeon, Brittany Elmslie, Bronte and sister Cate Campbell set a world record time with Bronte and Cate becoming the first Australian siblings to win gold. Australia also secured a bronze medal with our three metre synchronised diving pair, Anabette Smith and Maddison Keeney securing the spot behind China and Italy. 3. Hungary: 2 Gold 0 Silver 0 Bronze. 4. Russia banned from Paralympic Games in Rio. Russia has been banned from taking part in the 2016 Paralympic Games in Rio. The International Paralympic Committee (IPC) said they had “no option” but to take action following the Russian state doping scandal. He said the anti-doping system in Russia is “broken, corrupted and entirely compromised”. “The Paralympic Movement is one giant family and I had hoped that something like this would never rear its ugly head. The decision is in sharp contrast to the one taken by the International Olympic Committee earlier this month who, opted to allow individual sporting bodies to decide whether Russian athletes could compete. 5. Jetstar flight makes emergency landing on the Pacific island of Guam. A Jetstar flight travelling from Tokyo to the Gold Coast has made an emergency landing after a warning light came on. The flight was forced to shut down an engine and land on the Pacific island of Guam. Hundreds of passengers remained in Guam after being told via email and SMS that another aircraft was being sent to pick them up. Overnight the passengers boarded another Jetstar flight to be transported to the Gold Coast. GET YOUR SH*T TOGETHER @JetstarAirways @Jetstar_Japan WE HAVE BEEN STRANDED IN GUAM FOR 10 HRS W/ NO UPDATES! What&apos;s going on?!? 6. Teenager dies in Sydney stabbing. A 16-year-old boy has died after a stabbing at an 18th birthday party. The boy, Aidan Smith, died in hospital after seven people were stabbed at the 18th birthday party in the Sydney suburb of Ryde. Another 16-year-old and a 21-year-old were reported to have serious injuries after a fight broke out just after midnight on Sunday leaving six males and a female with stab wounds. Inspector Pat Sharkey said it is now being treated as a homicide. “This is a very, very serious matter and we hope to get to the bottom of it,” he said. 7. Woman killed in brutal domestic violence attack. A man has been charged with murder following the death of a woman who was assaulted at an address in Liverpool in Sydney’s south-west early Sunday morning. Emergency services were called to a home on Bathurst Street in Liverpool at 4.30am to reports of an injured woman. Paramedics treated a woman with serious head injuries who later died on the way to the hospital. A 28-year-old man was last night charged with murder and refused bail, he will appear in court today.